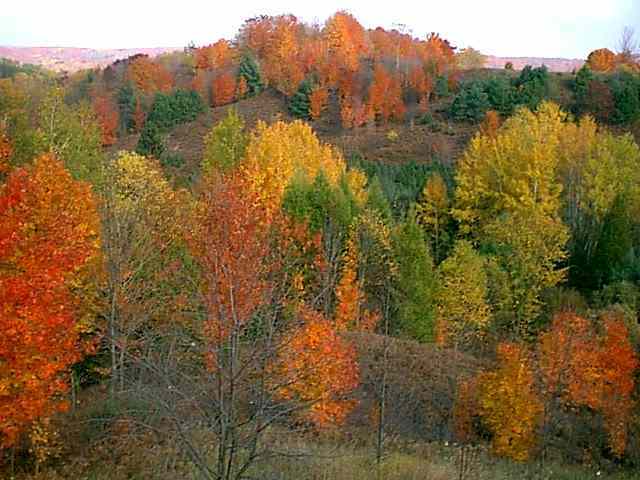 Located in Northwest Lower Michigan between Torch and Intermediate lakes, we are one of the largest tree nurseries in the area and growers of fine Christmas tree seedlings, Christmas Trees and large landscape trees, Evergreen seedlings , Hardwood seedlings and shrubs. We have 30,000 trees for sale. Many of our trees are grown in root control bags. In evergreen we have Cedar (Red and White), Canadian Hemlock , Dawn Redwood, Sequoia, Larch (European, American and Japanese), Spruce (Blue, White, Engelmann, Norway, Sitka, Serbian and Black Hill), Pine (White, Red, Scotch, Austrian, Foxtail, Corsican Black, Himalayan White, Jack Japanese White, Japanese Black, Japanese Red, Korean, Lodgepole, Macedonia, Pitch, Loblolly and Ponderosa), Fir ( Fraser , Balsam, Grand, Noble, Shasta Red, Nordmann, Canaan and Douglas seedlings) and Arborvitae. Our Douglas Fir tree is one of our top sellers, as are many of our other Firs, such as the Balsam Fir, which is known for it's soft pith — great for carvings and crafts. All Firs are known for their wonderful scent, especially during the warmer months. Additionally, one of the native trees of Colorado , the Blue Spruce tree is gaining popularity as a Christmas tree. Hardwoods: Oak Tree (Bur, White, Black, Swamp White, Scarlet, Pin, Red, Sawtooth and English), Blue Beech , Catalpa , Japanese Maple Tree (Red and Green), Crimson King , Maple Tree (Trident, Paperbark, Red Sunset, Deborah, Red, Variegated, Silver, Green Mountain and Sugar Maple), Arahaga, Three Flower. Golden chain tree, Big Tooth Aspen, Alder, Paper Birch (Paper, River, Monarch, Jacquemontii, Weeping, Crimson Frost and Japanese), Mountain Ash, Linden, Locust, Sweet Gum, Black Gum, Dogwood , Cottonwood , Cherry, Chestnut, Walnut (Black and White), seedling and many other varieties of nut trees. All are nursery tree are sprayed, sheared and inspected by Michigan Department of Agriculture. We also have seedling wedding favors. Spring shipping starts in January for the warmer climates. If we don't have it we can get it for you. If you are in the market for nice large tree, evergreen or hardwood seedlings give us a call, grab the Wife and kids, hop in the pickup truck and head for Central Lake. Or we will ship it to you! If you are in the area and would like a tour of our nursery please call ahead. While you are here, have dinner at the historic Blue Pelican , ice cream and homemade fudge at Fudgees and if it's getting late stay at the Chain O' Lakes Motel (231-544-6713). Vintage motorcycles?